Thank you for reading about DJ Joe Toto. DJ Toto is a legendary East Coast and International celebrity DJ. A graduate of prestigious Emerson college for the Arts. Joe has done hundreds of very high-end events and festivals. Joe is a top-notch emcee and host for many non-profit galas, 50th birthdays or any corporate or any other type of event. Always one to please, a great smile, with a quick wit and a warm demeanor! Wedding at the Taj Boston hotel. Joe Toto Hello 2019 from Groove Events on Vimeo. 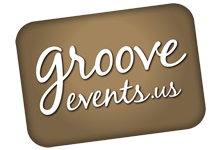 Joe Toto from Groove Events on Vimeo. DJ JC, MC Joe Toto from Groove Events on Vimeo.